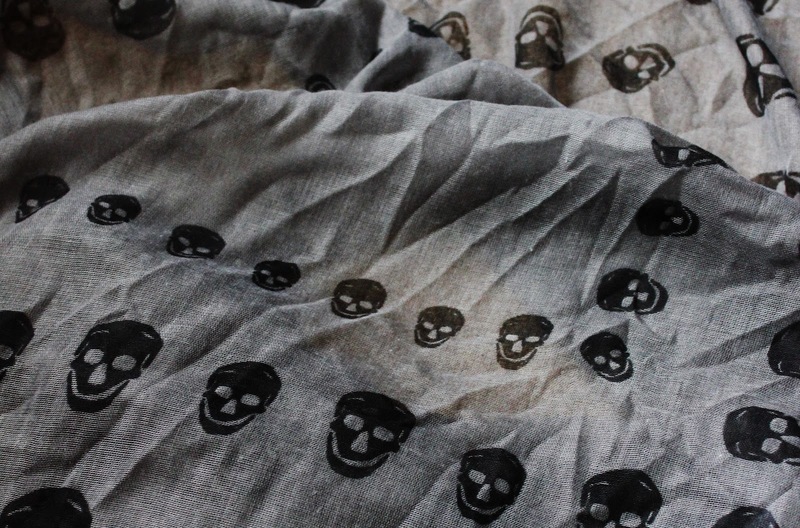 I've been looking for a skull scarf like this for a very long time and I kept on seeing people in London and Birmingham wearing them with jeans, ankle boots and a leather jacket and it just looked so good! Such a great way to make your outfit a bit more interesting. I'm not really much of a scarf person at all so I was quite surprised when I found myself lusting over this scarf. Of course this is a copy of the famous Alexander McQueen skull scarf, but I got mine for an extremely small fraction of the price. The grey and black colour combination is perfect for me as it will go with almost any outfit I have. I love that the scarf is square and not rectangular as I find that they sit so much better this way and they just give the look I want to achieve.